You must make bookings at least 5 minutes in advance of the time at The Greenhouse. 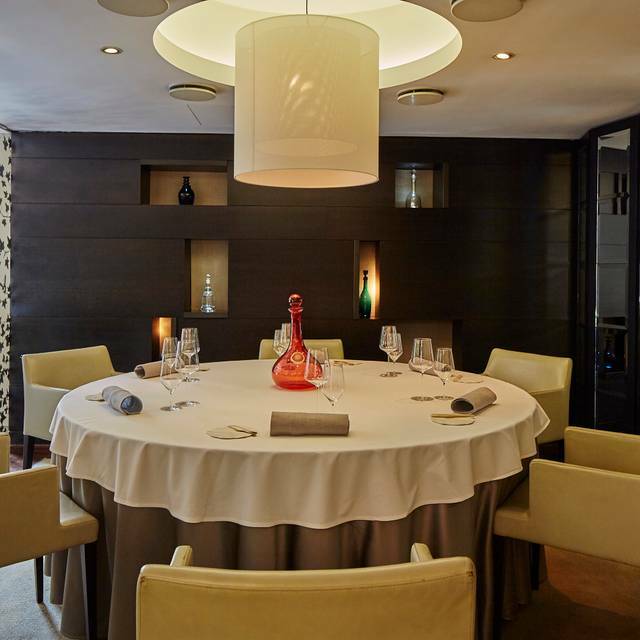 We offer a space for up to ten guests to dine in luxury. 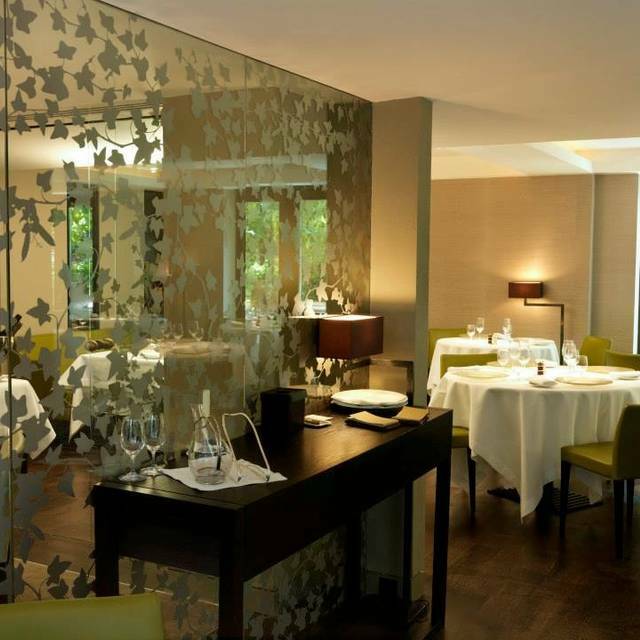 The private dining room is situated within the main restaurant , surrounded by glass walls decorated with a leaf motif. The Greenhouse also offers wine tasting dinners for groups of 10 or more for corporate or private events. To book the private dining room please contact our reservations team. The Greenhouse is available for exclusive events and can accommodate up to sixty guests for lunch or dinner. For exclusive hire bookings contact our reservations team. 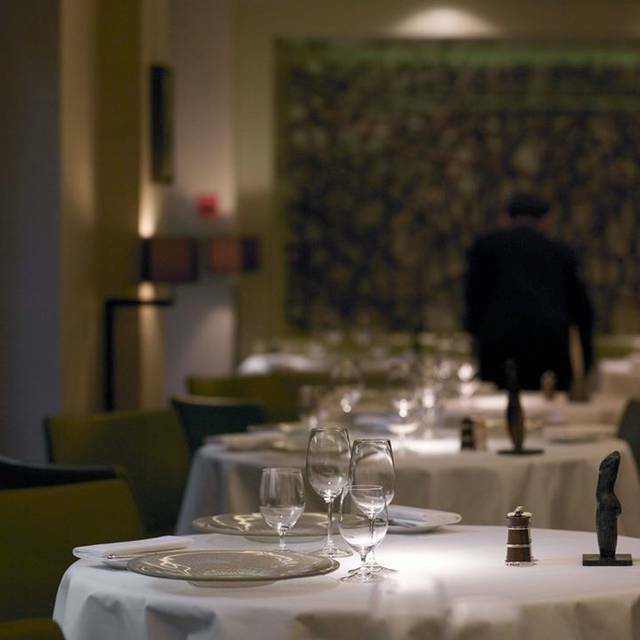 Enter an oasis of calm in the heart of Mayfair, where contemporary French cuisine emerges from a classic background. 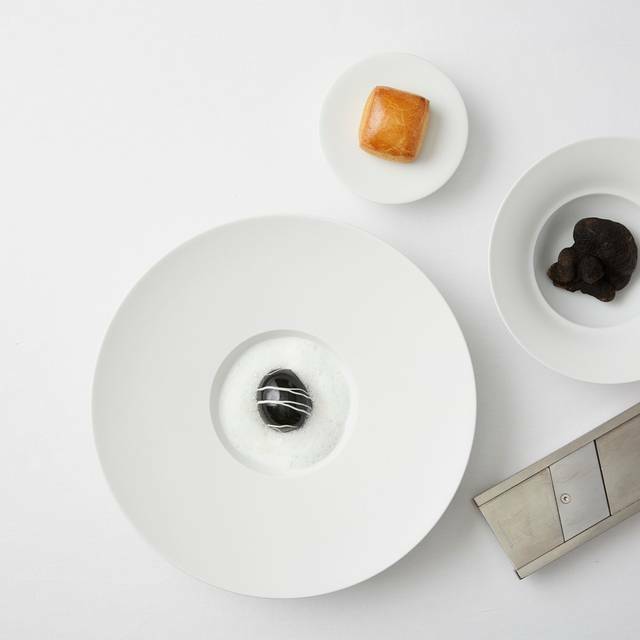 The Greenhouse is one of only four restaurants in the world to win the Wine Spectator Grand Award, the highest award given for exceptional quality in a wine list. The restaurant is very elegant. Food is delicious and I would give it 5 stars if the Wagyu beef wasn’t too fat and a little chewy than the another restaurant which I tried the night before. The food decor is an art and the wine specialist recommended good wines with a little bit history of the brand. 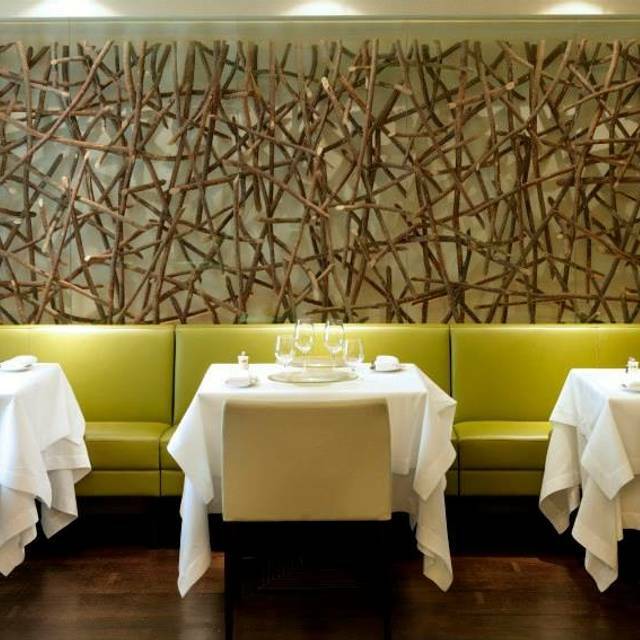 Lovely Mayfair restaurant with excellent, innovative food and service. Expensive but, for special occassion, very appropriate. Menu is short and reassuring and faultless. Equisite food, wonderful wine pairings, innovative dishes and flawless service! Will come back! Absolutely incredible. Catered to our dietary requests, made to feel very special, amazing wine selections and of course perfect food. Food was beautifully presented and my wife and I left full. Thank you for the very special night. Absolutely amazing from start to finish. Very creative. Amazing and sometimes surprising flavours. Beautiful presentation. Great service and atmosphere. The service here was amazing. we felt pampered and well taken care of. Go if you can. It’s so worth it. The food is unique and spectacular. 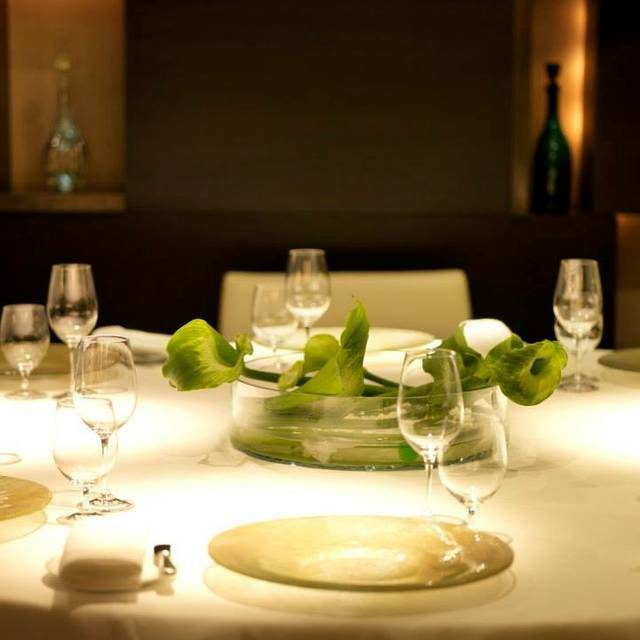 Elegant atmosphere, impeccable service, and good food. Last Friday, we had the pleasure to visit the Greenhouse for the very first time and on behalf of all of us present, we would like to say: thank you. Long story short, thank you for a fantastic experience, to say that all of you made us travel is a clear understatement, from the food, to the wine, through the atmosphere and the flawless service, the meal we experienced last week went far beyond our expectations. We have had the privilege to live a number of gastronomical experiences over the years and it is safe to say that you belong right among the top of them all. The service was very very good. Everyone were very kind and polite. It’s just that the food was really not tasty. We had the tasting menu, vegetarian and the normal one. The dishes were very pretty but not tasty at all. We don’t remember even one dish that we enjoyed. We paid 400 pounds for a meal we didn’t enjoy. Not good food unfortunately. We had dinner here on Tuesday, 8-1 and it was an absolute AMAZING experience. The food was really amazing and so was the wine that the sommelier chose for us. Would definitely recommend you to everyone going to London around us. We flew there from the Netherlands and it was super worth it. Thank you for the fantastic evening. I went to The Greenhouse to celebrate a special occasion with a friend. The service is amazing, waiters are friendly and professional, which make us feel well and confortable. The food was exceptional, really tasty, starting from the canapé to the desert. Our favorite was the veal blanquet which is completely twist by the chef and make you feel the true taste of blanquet! Wine was really good as well. The Greenhouse will stay in our memories !!! 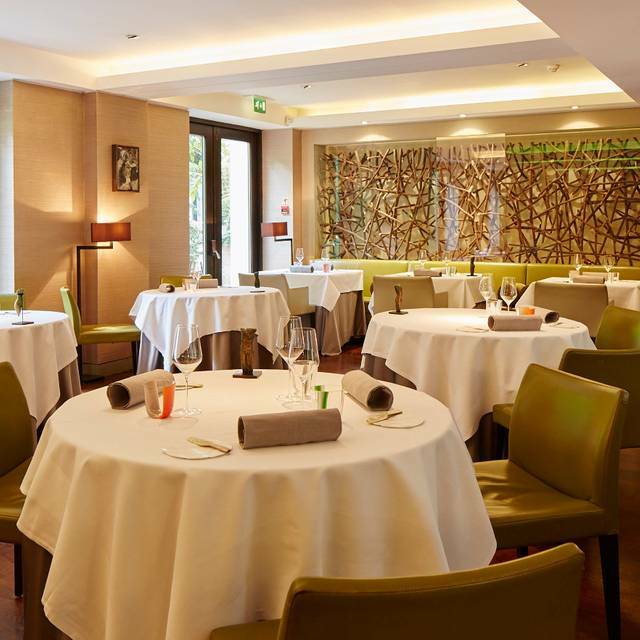 Modern French cuisine cooked to perfection served from a attentive staff. Lived up to expectations and more. There is little to say about The Greenhouse other than it is perfect. 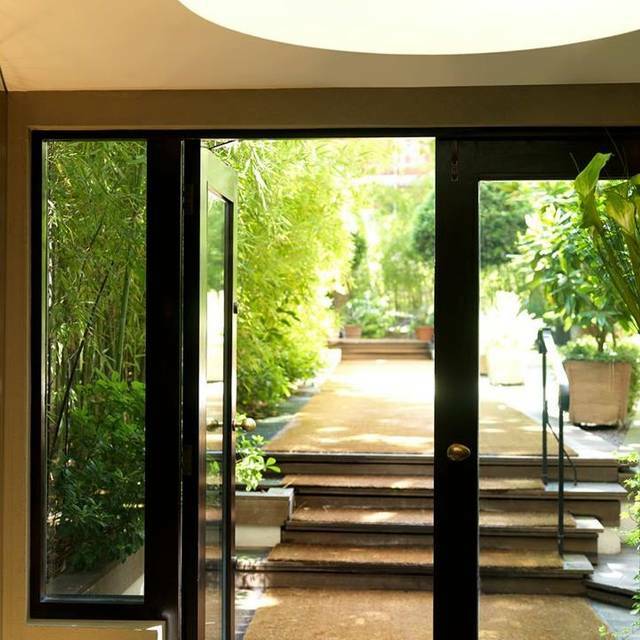 From when you turn off Hays Mews into their tranquil garden you know you are in for a luxurious treat. Front of house and waitering staff are wonderfully simultaneously attentive and absent, all knowledgable about all of the dishes. They work under the watchful eye of the head sommelier Elvis, and if there is anything you ever need to know about wine, this wonderful genius will be able to help. His recommendations are beyond comparison. Finally the new chef had a high bar to reach to in taking over The Greenhouse, but he has done this absolute ease and the reputation of this institution is safe in his hands. The venue itself is beautiful. It is quiet and non-intrusive, the tables are well spaced, each with candles and art work on them. Lit subtly from above the tables glow in the gently and warmly lit room. Simply put, it is perfect. The staff made us feel welcomed and comfortable. The sommelier gave excellent help choosing wine The setting is very relaxed and romantic and the food was delicious. I had the foie gras, veal sweetbreads, lobster and chestnut soufflé, my partner had sardine, Veal sweetbreads, turbot, and chocolate. It’s hard to choose a favourite but I think the most delicious were the lobster and sardines. As it was for a joint birthday celebration we were delighted to receive a surprise extra dessert. The appetisers, palate cleansing sorbet and petite fours were lovely also. I would definitely eat here again. Amazing gourmet dining experience. As great as ever. Superb freash ingredients skillfully blended by the true master chefs into a fabulous tasting Manu. The set lunch is a (relatively!!) good value entry point and a wonderful introduction to the foodie delights of The Greenhouse. A truly outstanding experience. Congratulations and thanks to all the staff who prepared and served us such a fantastic meal. Fabulous restaurant for a celebratory (expensive!) meal. This was the third time I've been and we decided to have to £155 9-course tasting menu. Wow! Every dish was interesting, made with the best ingredients and beautifully presented. The service was excellent throughout. When we asked the sommelier to suggest wines he guided us to a Bourgogne chardonnay which was great with the strong flavours of the first few dishes, and then a Greek red with the hare main course and it was absolutely fabulous. I particularly enjoyed the small oyster amuse-bouche, delicate marinated sardine, the crab salad with the caviar, the scrumptous hare in pastry, and best of all the 'avocado' desert which was more about green apples than avocado but really delicious. My only critisism would be that the menu as a whole experience is too rich, with bold, protein-heavy dishes of meat, fish, sweatbreads, egg ... I could have done with some more veg or salad. Overall a great restaurant for a treat and we felt very well looked after. £230 per person total with 3/4 bottle wine each. I booked a table at the Greenhouse to celebrate my graduation with my family and I couldn't have made a better choice. The food was excellent, the service flawless and the wine list impressive. We'll definitely be back! The set lunch was good value for money with excellent bottle of wine included. Pity that the top quality bread service has been replaced by a sourdough loaf on the table ( ours was burnt at the edges ) and that the crab amuse bouche starter is now a sorbet towards the end of the meal - the balance of the menu now feels more sweet than savoury. Great to have a cheese plate as a dessert option though. The service was good but we had to pace the young sommelier from filling our glasses too often. Often had just been done by the head sommelier. Food and service were both impeccable with really nice wine included with the lunch set menu which makes it good value. Complementary small dishes were given when we ordered a glass of champagne each which was a lovely touch. If you like good food you must book The Greenhouse, we have been to a few Michelin starred restaurants and this has to be in the top 3! We had the tasting menu with wine pairing and the young Sommelier was great too, very informative, couldn’t really fault any aspect of it. Had a great night there with amazing food and good service. Love the wine recommendation always the best. This restaurant has a warm and elegant atmosphere. Extremely pleasant and helpful staff. The food is delicious - with a lot of thought and creativity. Two of our party of six were vegetarians and one was a pescatarian. One person did not eat garlic. They happily accommodated everyone's individual requests. Exqusite and amusing presentation. Canapes included gazpapcho in a delicious soft crust, caesar salad in a cornet. The portion of foie gras a little small. And the meat was ever so slightly tough. And you are guided by helpful advice throughout by solicitous staff. As another reviewer noted, the prices are eye-watering, but the service and the timing of the tasting menu are impeccable as you would expect from a 2 Star establishment. The tasting menu was delicious and inventive even if we were a bit ready for the check by the time course 9 arrived. The Breton sommelier was charming and very friendly and attentive and we appreciated his service very much! Delicate food and experience, but the portion is quite small. Wonderful, exciting and inventive food. Fabulous service and a fantastic experience. 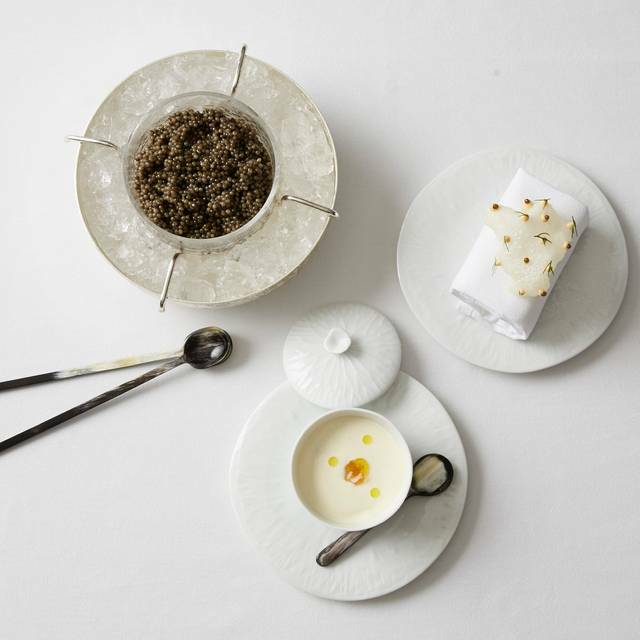 We have had the pleasure of having vegetarian tasting menus in many restaurants around the world such as London, Paris, Dublin, Sydney and Granada - this is by far the best. The variety in taste, texture, and presentation were beyond expectations. The wine pairing was equally sublime with the sommelier being one of most articulated and exact - in equal measure. Excellent value for money, £40 3-course lunch with canapés before and after the meal, and we asked for additional bread, and we got coffee. The food was very good, though I did feel that it didn't really fit the 'Greenhouse' theme as well as the ambience did. Very nice place for lunch, will come back for dinner at some point. Always a pleasure. The best thing is consistency at a high level. Astonishing set lunch with gastronomic amusements like burst in your mouth gazpacho, smoked eel in a blackened shell and caesar salad in a cornet. The restaurant is in a difficult to find offstreet location of great elegance with fabulous sculptures by Emily Young.